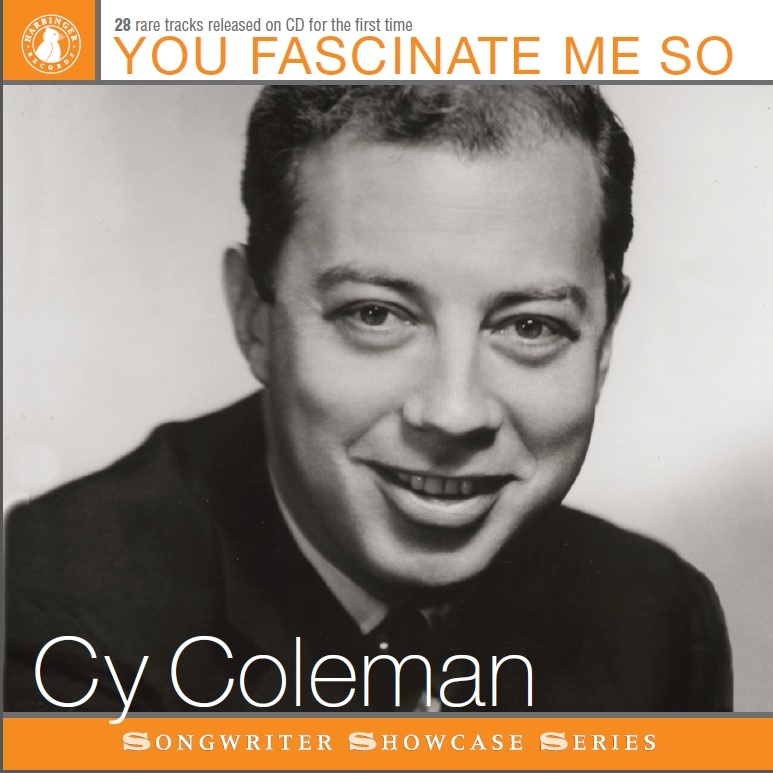 In May, Harbinger Records will release Cy Coleman: You Fascinate Me So, featuring 28 rare tracks issued on CD for the first time. The disc is part of the company's Songwriters Showcase Series, and on it you will find Coleman performing some of his best known songs, including "Why Try to Change Me Now?," "I've Got Your Number," and "Hey, Look Me Over!" The album also features a number of rarely heard pop songs that Coleman composed working with collaborators such as Al Stillman, Floyd Huddleston, and Allan Sherman. Combined, they provide a fascinating and revealing snapshot of the composer. Further, they highlight his work as a performer in his own right. Slated for release in May 2015. For more information and to pre-order, visit HarbingerRecords.com.